Step 1: in the first place, you’ll need to authorize the download of applications from unknown sources from your Android’s Settings. Step 2: now go to WhatsApp and make a backup of your chats if you want to keep them. Step 3: go back to Settings and from the Applications menu, uninstall WhatsApp. You have to do so because the MOD you’re going to download and install is developed upon an official version of WhatsApp Messenger and the system would detect it as a duplicate app. 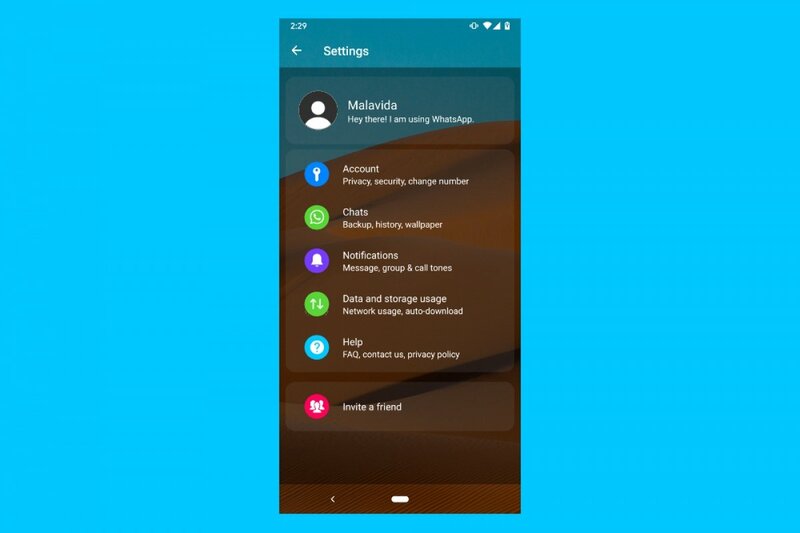 Step 4: now go to Malavida and on the WhatsApp Transparent datasheet, click on the green Download button to be able to get hold of the APK of this MOD. Step 5: once you’ve downloaded the file, click on the PK in your notifications tray or in the corresponding folder through your file manager and follow the installation steps. Step 6: now run the application and after registering your phone number to detect which WhatsApp user you are, go to the settings menu from which you can choose the wallpaper. Here you can set your own photos or a transparent background from which you can view the home screen of your device. That’s the only way to make WhatsApp Transparent because for the time being the official version of the app doesn’t offer us this function. We can only change the wallpaper of our conversations. What is WhatsApp Transparent and what's it for?